All Aboard! Mark your calendars for this exciting networking and cruise experience! The Hispanic Chamber of Commerce of Tampa Bay is hosting our 2019 installation of officers on the Yacht StarShip. 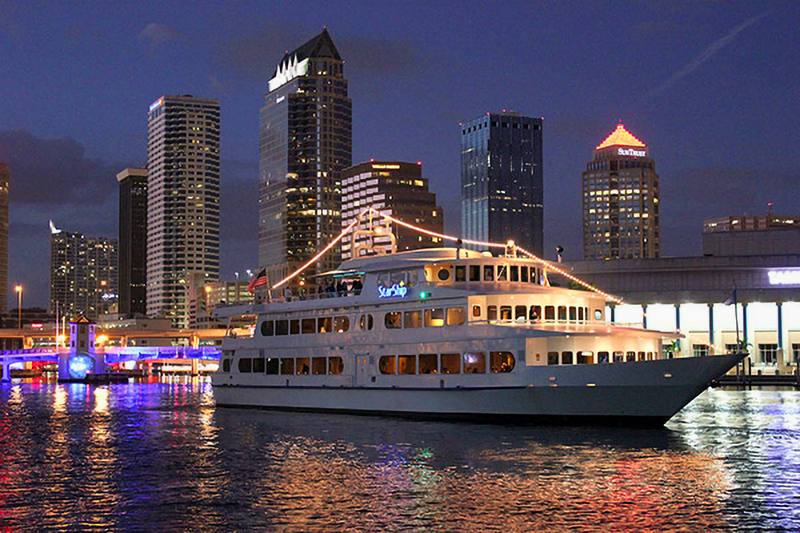 Join us as we enjoy the Tampa skyline with music hors d’oeuvres and drinks. This is always a great event to connect with fellow chamber members and to meet new businesses or individuals who are intersted in joining the chamber. Boarding Time: 4:00 PM – Sharp! Limited tickets available—reserve your spot now!